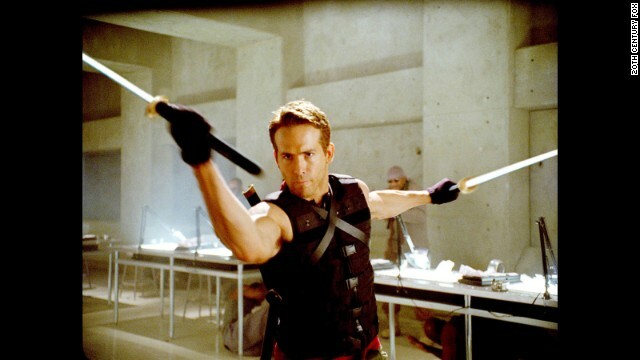 Ryan Reynolds starred in 2009's "X-Men Origins: Wolverine" as Wade Wilson, aka Deadpool. (CNN) -- A long-held wish for fans of Marvel's Deadpool is finally coming true. According to studio 20th Century Fox, the comic book star will arrive in theaters with a movie of his own on February 12, 2016. This is the newest Marvel mutant to star in his own project, but he's not exactly a typical comic book hero. Deadpool's known as "the merc with a mouth," a mercenary with a sarcastic sense of humor who racks up a hefty body count and routinely breaks the fourth wall in his comics. Fans expect the upcoming film will have to be rated "R" to do the chatty, wisecracking, sociopathic character justice. Deadpool has appeared on screen before; in 2009, he was played by a combination of Ryan Reynolds and Scott Adkins in "X-Men Origins: Wolverine." Reynolds actually did some filming as the character a few years ago, and the footage leaked online right around the 2014 San Diego Comic-Con, which was held in July. The teaser clip definitely indicates that the film isn't for everyone, but it's been viewed more than 700,000 times. Reynolds hasn't been officially announced as the lead, but he's been so closely identified with the character it's almost assumed he will get the part. In an interview during the recent Toronto Film Festival, he's quoted as crediting the Internet reaction to the leaked footage as giving this project the push it needed. "The movie has been in a state of limbo for a while," Reynolds told The Niagara Falls Review. "There was such an overpowering reaction to the footage, you sort of feel like, 'Oh, so we weren't crazy for our reasons for loving this character, for loving this role.' It's interesting to see the power of the Internet. It's awe-inspiring, actually." He wasn't the only one who felt that way. One of the film's writers, Rhett Reese, actively tried to whip up fans online getting more than 50,000 people to retweet a call to support the movie. Now that Fox has announced the film, he thanked everyone with a tweet of celebration.